The Class of 2023 pose for a silly-faced class photo. Photograph by Kyle Furusho. 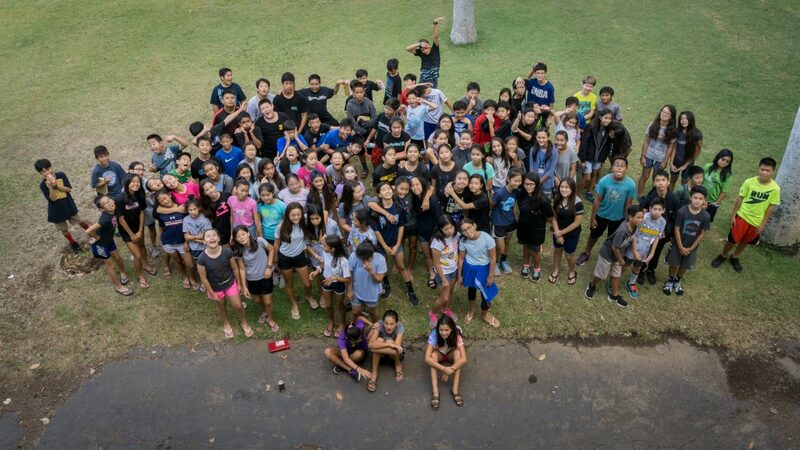 On Thursday, August 30, the seventh grade class went on their first middle school camp held at the Pu’u Kahea Baptist Conference Center in Waianae, Hawaii. “Good news, bad news, good news” was the theme of 2017’s three-day, two-night seventh grade camp. On the theme of the camp, which is kept the same every year, Lockridge explained, “The good news is that there is a God. The bad news is that our sin separates us from Him. But the other good news is that He sent His Son Jesus to die on the cross to take the punishment for all of our sin.” He believes the theme has been and continues to be a crucial and effective one, given the positive responses he receives from the students every year. Camp brought me closer to God, I enjoyed the chapel and the food, and this chapel made me realize that God can cause miracles, no matter how long it takes, and that we should be patient. 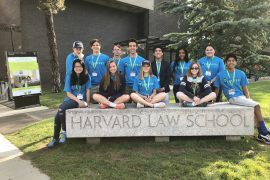 Lim, who also counseled at previous seventh grade camps, added, “It is always pure joy, and every time I have a growing love for the students. I think there was a huge difference in the worship this year.” Although HBA worship leader John Kaneshiro—who left his position to pursue seminary studies at the end of last school year—was missed by students this year, Lim felt that the camp was equally as enjoyable and successful.